Game of Thrones Beer Coasters - Goofts, funny gifts, gags and pranks. 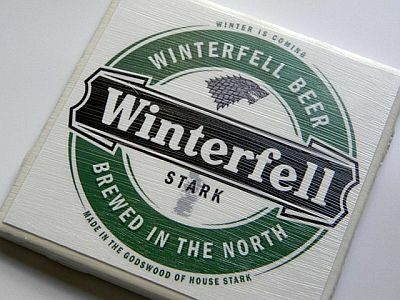 Variety pack of Five Game of Thrones 4 x 4 Handcrafted Ceramic Beer Coasters. Every variety pack includes one coaster of Winterfell, Targaryen, Lannister, Baratheon, and Nightswatch.